Yesterday was great. I have shot a number of weddings for the brides family over the years including her twin sisters wedding just two years ago. The groom and I exchanged some secret Facebook and text messages to set this up. 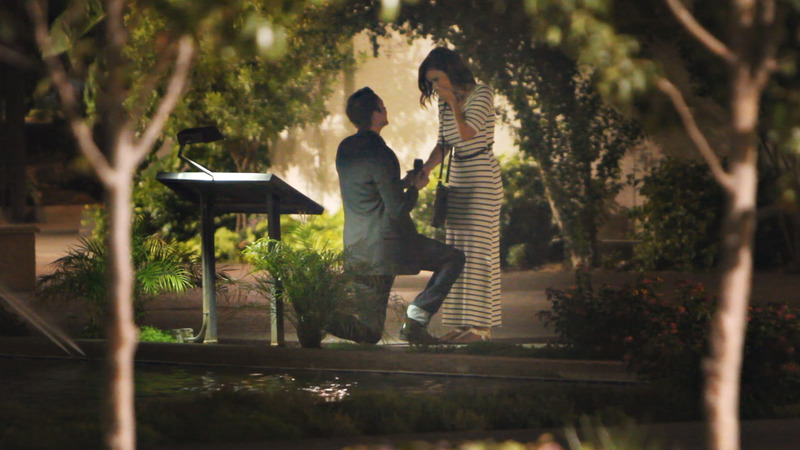 He decided he wanted to propose on her birthday. They first went to dinner and then “decided” to go for a walk at the Mesa Arizona Temple. At the appointed time I waited in some trees off in the distance of where he would propose. I started filming as soon as they arrived. Groom was on his knee and I got the shot. Of course she said YES! They will be married in November at the Temple.